I suspect I’m like most people who, faced with a long road trip, grab a stack of CDs to take along with them in the car. (I've never adopted the habit of taking my iPod; if I listen to an album, I have to first hold the actual material artifact in my hand, a habit acquired from the vinyl LP days, no doubt.) Listening to them in the solitary isolation of the car allows me to focus exclusively on the music, when I'm free of annoying distractions (Roland Barthes observed in Sade/Fourier/Loyola that pleasure is heightened through hermetic isolation, the sealing off of the outside world, which is how a libertine such as Sade can co-exist in a study along with an ascetic such as Loyola). Thus, in preparation for my trip this weekend, I selected five CDs from this month’s listening schedule (see my list of July 1968 albums)—and, at the last minute, a sixth, John Simon’s Album (released ca. February 1970), which has been available on CD for a couple of years now. I purchased the album on CD three or four months ago, but for various reasons I hadn't had the opportunity to listen to it. So, along with a few of the July 1968 albums, I took along John Simon’s Album (39:39), planning to listen to it if time permitted. I had every intention of listening to the Moody Blues’ In Search of the Lost Chord (released forty years ago this week), but I never made my way to it. Instead, I put on the John Simon album, and I’m really glad I did. I liked it so much I never got past it, playing it over and over--so much for In Search of the Lost Chord, unfortunately. Let me say that I have known about the first solo album by John Simon for thirty-eight years, having learned about it, way back when, through a Warner Brothers Records sampler, one of those various artists anthologies WB started releasing in the late 1960s in order to promote and advertise the pop and rock artists then recording on the Warner Brothers/Reprise label. I first got hooked on WB samplers through a record titled October 10, 1969 (which I purchased for the sum of $1 via mail order), and subsequently started picking up the other samplers then available. If my memory serves, WB Records issued the 3-LP sampler box Looney Tunes - Merry Melodies (3 records for $3) in February or March 1971, which included, on Side 2, John Simon’s “The Song of the Elves” (his picture from the booklet included with that 3-LP set is reproduced above). I very much liked "The Song of the Elves"--Robert Christgau says it is the best song on the album--rightly saying that it is about elves who (falsely) imagine they are very tall, but gives the record a mere “B+”--and had I ever run across the album in the record stores, I most certainly would have bought it. I never did, because I never saw it--it went virtually ignored at the time, and no doubt vanished rather quickly. But recently, when I made the startling discovery that the album was available on CD, I immediately snapped it up. But I hadn’t listened to it . . . until this weekend. There are many "great lost albums" in the history of rock music--the Beach Boys' Smile, say, or Big Star's #1 Record, for instance, this not including those "lost" records that were never recorded, such as the album Buddy Holly might have made had he heard the Beatles--and John Simon's Album is most certainly one of them. It is an utterly amazing, unaccountably neglected but grand record, an essential piece of Americana. It belongs in the constellation that would include the pre-World World II, pre-Swing Era music favored by Randy Newman, The Band (one of the songs on the album, “Davey’s On The Road Again," was co-written with Robbie Robertson; Simon produced Music From Big Pink and its follow-up, 1969's The Band) and Allen Toussaint (think of Toussaint's, not Glen Campbell's, haunting, evocative, "Southern Nights." Not surprisingly, both Allen Toussaint and John Simon were involved in the Band's landmark 1978 film, The Last Waltz.) As Mark Keresman observes in the CD's liner notes, John Simon's music "does not 'sound like' The Band; rather, it is like The Band," meaning it is a sophisticated amalgam of blues, R&B, country, turn-of-the-century pop music, and, on John Simon's Album, ragtime and early New Orleans jazz. Given his highly successful history as an album producer (in 1968 alone, he produced most of Simon & Garfunkel's Bookends; Janis Joplin and Big Brother and the Holding Company's Cheap Thrills (albeit unacknowledged), Blood, Sweat, and Tears's Child is Father to the Man; the Band's aforementioned Music From Big Pink; Leonard Cohen's first album; others), he was able to assemble a remarkable group of musicians: Leon Russell and Eddie Hinton on guitar; Alice deBuhr and Jean Millington (Fanny); Harvey Brooks (The Electric Flag); Rick Danko, Richard Manuel, and Garth Hudson (The Band); John Hall and Wells Kelly (later in Orleans); legendary jazz sessionmen Richard Davis and Grady Tate; Jim Gordon, Bobby Whitlock, and Carl Radle (all three later members of Derek and the Dominos); Delaney Bramlett; and others. 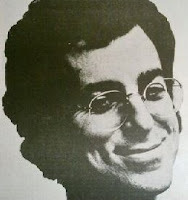 As history would have it, John Simon's Album was released by Warner Brothers within the same three/four month period which saw some albums released strongly favored and endorsed by the critical establishment: Van Morrison's Moondance, James Taylor's Sweet Baby James, and The Small Faces' The First Step. Were these records the reason it went (popularly) ignored at the time? No, but with the rather uninspired title, the fact that John Simon was better known as a producer (assuming he was "known" at all), and the fact that the critical spotlight was focused elsewhere, the album, alas, sank like a stone. It is one of the virtues of the CD Era that great "lost" albums such as this have been rescued from oblivion. How to explain the "lost" records that fell through the cracks (without succumbing to what Robert Ray calls "the myth of the avant-garde," that is, that the initial neglect and failure of a record suggests its brilliance?) It is true that popular music, rather like the Darwinian "state of nature," is a hopelessly over-crowded, over-populated field, but can that explanation alone account for why a great album virtually ignored upon its release? Yes . . . in the sense that at any given time there are many, many albums out there, and some are bound to be overlooked because of sheer numbers. No . . . in the sense that some records are, frankly, "harder to sell" than others, more difficult to assimilate--the problem of the avant-garde. Remember that singer-songwriters immersed in Americana, such as Randy Newman, achieved some degree of success because his songs were successfully merged with the mainstream, meaning they were interpreted by others: the Three Dog Night had a big hit with "Mama (Told Me Not to Come)," for instance, and Harry Nilsson did an entire album of Newman covers (Nilsson Sings Newman, 1970). Of course, John Simon wasn't as prolific a songwriter as Randy Newman, it is true, perhaps another reason John Simon's Album is one of those "lost" records. On the other hand, despite its strong critical endorsement, and lingering reputation, Randy Newman's 12 Songs (1970) has never earned massive popular acclaim, in the sense of sales. But no matter: John Simon's Album has earned the endorsement of Time, reminding us that greatness is not merely sales, but durability. It's that sense of durability that allowed me, finally, to hear it. I'm very sorry, John Simon, to be so late (the critic's worst nightmare): it took me 38 years to find it, but I finally did, and it is remarkable.